 Best place to live in Cranberrysubmitted by Ryan H. - Apr 04, 2019 |Recommended: YesThe Haven is absolutely beautiful. Starting from the office staff who is always friendly and on top of everything. The maintenance staff is always prompt. I would recommend this place to anyone looking to live in the Cranberry area. Good propertysubmitted by Andrew C. - Feb 28, 2019 |Recommended: YesI love living here. Great location, only downside could be loud people above but that isn't a complex issue. Great Place to Livesubmitted by Karen T. - Feb 20, 2019 |Recommended: YesOther than some noise, it is a great place to live. I love the amenities, grounds, look of the complex and interior of halls and apartments, and amazing staff. Although I have no pets, I love to interact with others' pets, so I am glad the complex allows them. I'm very pleased with my apartment and the amenities.submitted by Dolores W. - Jan 10, 2019 |Recommended: YesIt's a very good place to live. I feel very safe here. Any problems you have are taken care of quickly. People living here are very friendly. Great location and beautiful propertysubmitted by Lonnie R. - Nov 30, 2018 |Recommended: YesGreat place to live. A pleasant communitysubmitted by Namratha V. - Aug 20, 2018 |Recommended: YesNice apt with very good facilities swimming pool, gym, gaming room . Trails are wonderful and staff is helpfulsubmitted by Jamie H. - Jul 16, 2018 |Recommended: YesThe trails around The Haven are wonderful. If you have any animals it's a very friendly environment. Even if you don't have animals, people are always out walking and hanging around the pool area. The staff is on top of everything and if anything needs fixed, it's done in a timely manner. We love being able to have our dog here. Appliances are good, maintence is fantastic. Love the secured outside door. submitted by Robin T. - May 03, 2018 |Recommended: YesWonderful place to reside. Sometimes neighbors can be noisy, and 1 unruly or barking dog can be annoying. Landscapers blew dirt and debri into our freshly swept porch. Love the security. It's a great place to live.submitted by Angela M. - May 01, 2018 |Recommended: YesIt's a great place to live. A good place to enjoy life.submitted by Roseann B. - Apr 13, 2018 |Recommended: YesThis is a friendly and we'll maintained apartment complex. The landscaping is beautiful and the pool area is very comfortable. I think it's the best apartment complex in Cranberry. Love the screened porch for me and my cats. So far it's a nice place to livesubmitted by Gerald M. - Mar 04, 2018 |Recommended: YesGreat location and very nice apartments. The grounds are well kept. By and large, the place is quiet, though there have been a few times when the guys across the hall were pretty loud on weekends at 3 or 3 30 in the morning. I'm a late-night person, but still... Otherwise, I think it's a very nice place. My only complaint is that the garage fees are way too high. Other places charge half the price. I'd love to get a garage, but I won't pay 200 for it.